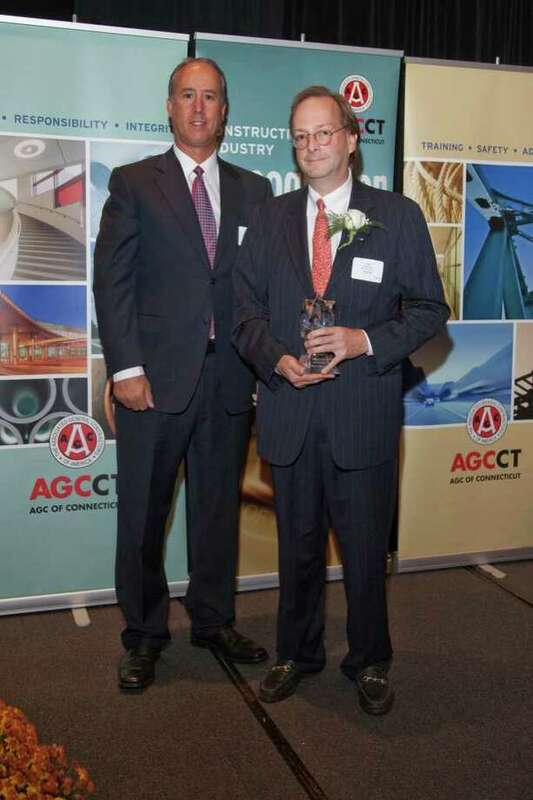 The Associated General Contractors of Connecticut recently honored David Frassinelli, Fairfield University's associate vice president of facilities management, at its seventh annual Industry Recognition Awards Dinner. The Bridgeport native, who joined the university admininstration in 2008, was instrumental in Fairfield's recently completed $60 million residential building program that has added 200 beds to the campus, the university said. Other Fairfield projects Frassinelli has been central to include the American Institute of Architects-recognized Fairfield Jesuit Community Center; the campus' Early Learning Center; and the Bellarmine Museum of Art, winner of the 2011 CBC Project Team Award for small projects, according to the university. Frassinelli also chairs the Campus Sustainability Committee that has measured and posted the University's greenhouse gas inventory and carbon reduction plan. Prior to joining the university, Frassinelli worked with Gilbane Building Co.